I mentioned in my interview with Londonist that Tube Lines invited myself & Londonist's M@ down to Leicester Square Tube one evening to see the overnight works. 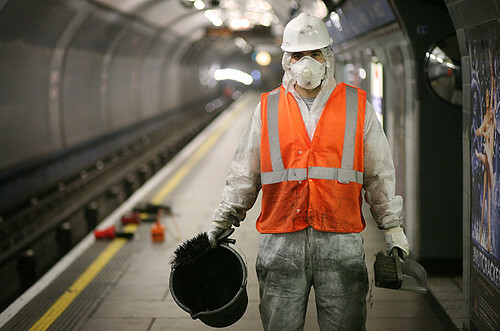 Thanks to Ianvisits, I found that Time magazine had published an amazing set of photos which show the London Underground after midnight and the work that goes on through the night. 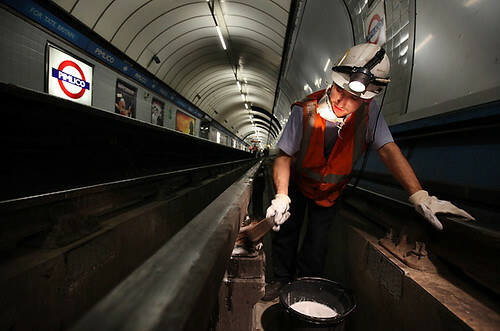 The overnight work is part of a multi billion pound TfL investment programme for the Tube. I particularly like this one of the modern day Fluffer (the term for London Underground cleaners & yes I know that Fluffer also has many other meanings). I never knew that cleaning of the lines was still done by hand. I'd heard of the band of night-time workers (mainly women) called Fluffers or Fluffies who used to go into the tunnels and shift all of the hair and skin cells that accumulate on the Tube every day. They removed all of the dust, dirt and debris by hand with brushes and brooms. The picture of the women was taken in 1955. 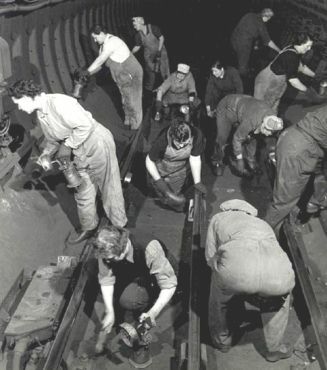 The caption from the London Transport Museum says: "They are using special fluffer brushes that helped them collect the dust and fluff from around the rails. This was important because if the dust built up, it could affect the trackside equipment or cause fires. Fluffers went to work every night once the electricity to the tracks had been switched off." "I took home made food into work and my friend Bernie took in whiskey. One weekend Mertle had too much whiskey and was ill, she was sick. She carried on working not realising she had lost her teeth. 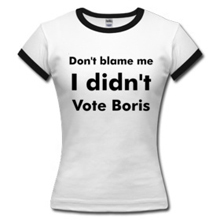 It was my other friend Rosie who found them on the platform in the morning. She worked the shift without her teeth, she was a bit tipsy"
Wonder what sorts of things are found by cleaners overnight on Tube lines and platforms these days? It's interesting that cleaning the lines, now seems to be more of a male job, if the pictures from Time are anything to go by. The workers also seem much, much better dressed for the work. The hairnets have been replaced by hard hats & the dungarees by protective overalls & reflective jackets. I'd imagine they're also not allowed to have whiskey tipples down there either - although I'd need more than a few shots to do that work every night!